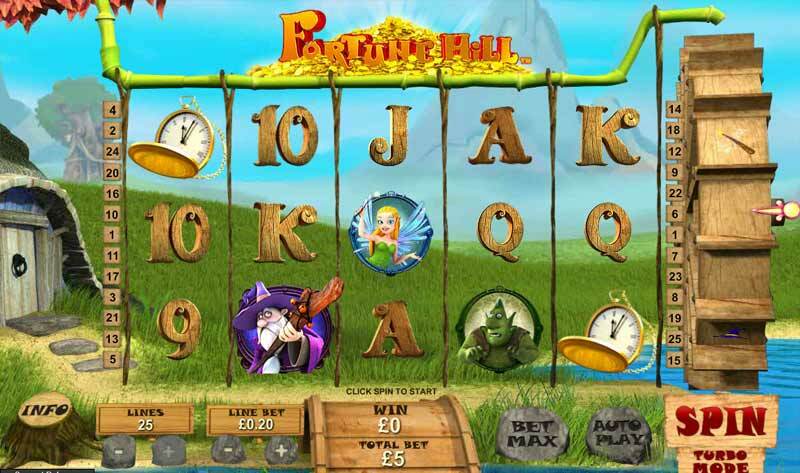 A Playtech online slots game with fabulous animation and a fun story line. 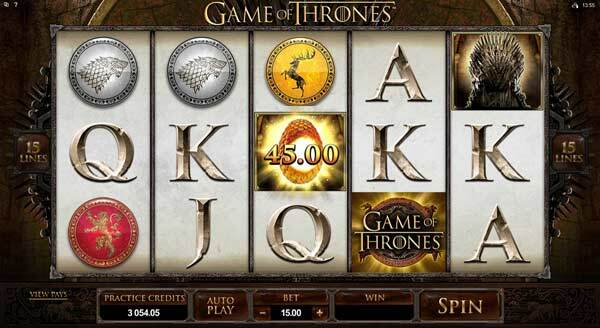 Spin the 5 reels and match symbols across the 25 paylines to be a winner. The game also has a sixth "special" reel that is packed with bonus features. The game is great fun and the animation is great. 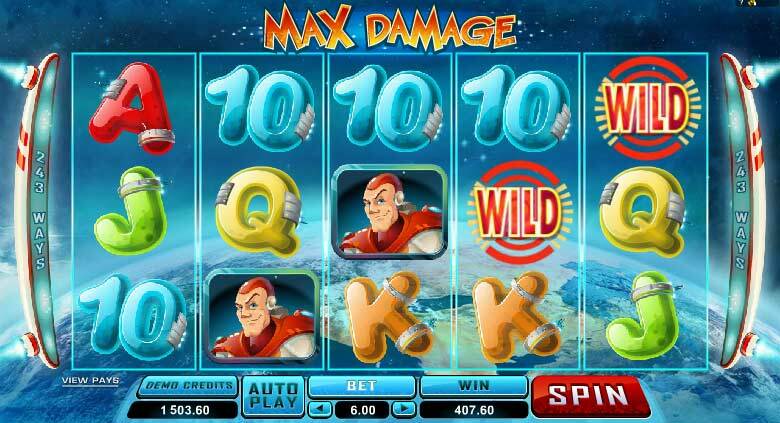 There are the usual bonus, wild and scatter symbols and the added bous of instant win features. 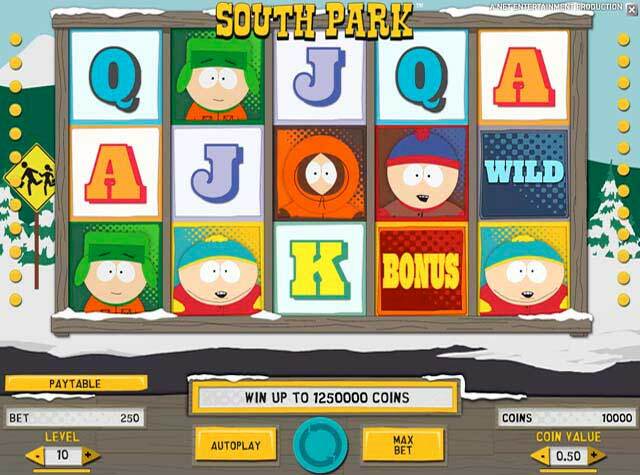 The main bonus is the RAINBOW FREE GAMES. 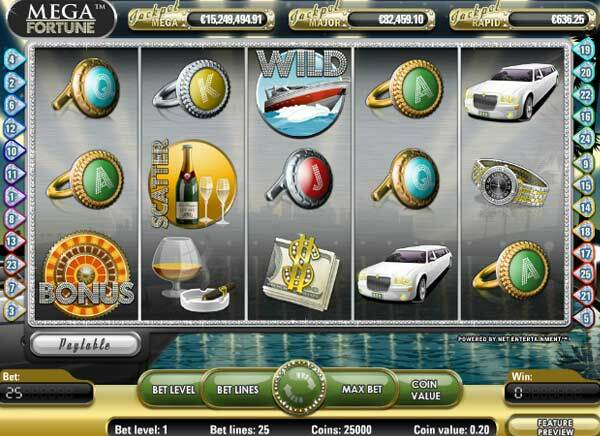 Spin the FREE GAME BONUS symbols on reels 2, 3 and 4 to be a winner, this give an instant 8 free spins. The MAGIC MUSHROOM BONUS is another great game. 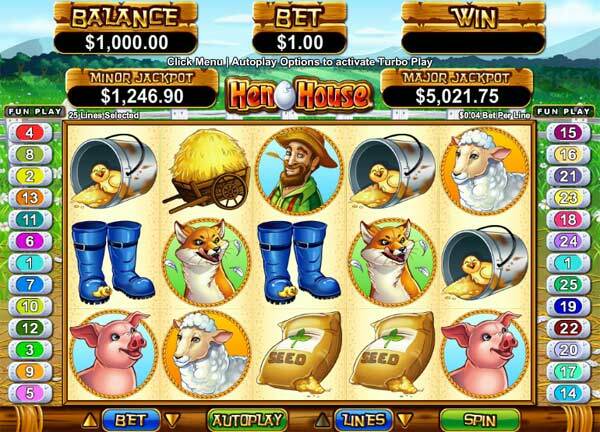 In thsi game you must pick the mushrooms to reveal cash prizes while the troll sleeps in his hammock. 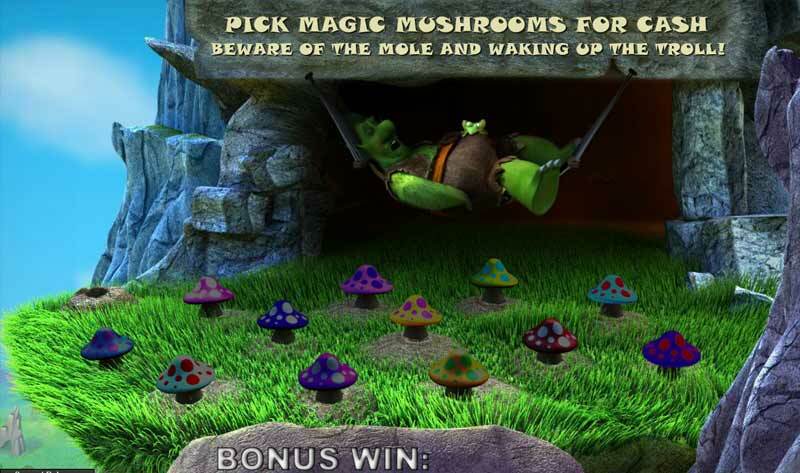 Be careful because under one of the mushrooms and a hungry mole that will wake the troll and end the bonus game. 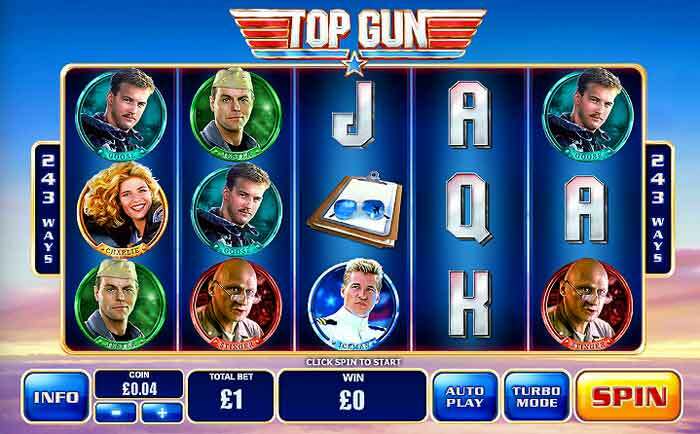 The side wheel acts like a WHEEL OF FORTUNE and contains special bonus features that will apply to the reels at the end of the spin. 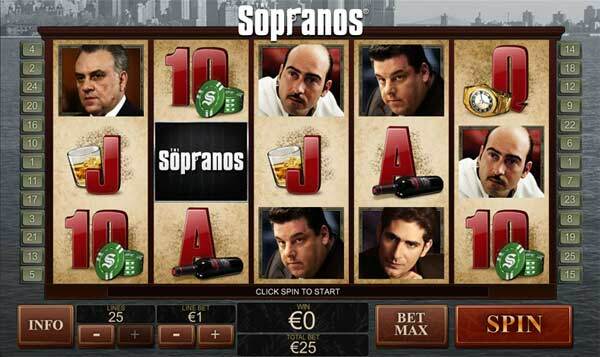 On here you will find 2x, 3x and 4x multipliers, free re-spins and instant spot prizes. 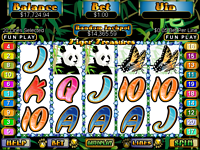 You can have siome great fun playing this game and initial indications show that the payout is pretty high.